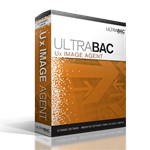 The UltraBac Ux Image Agent can cold boot a Linux machine and perform an image based backup to any local or remote storage device. Recover a "dead" machine in minutes by booting from the Ux Image Agent Restore CD. Simply insert the CD, boot, browse, click on the saved image, restore, and reboot.